If you’re currently in Shanghai, China, you might spot an odd-looking, unstaffed and driverless vehicle roaming the streets. 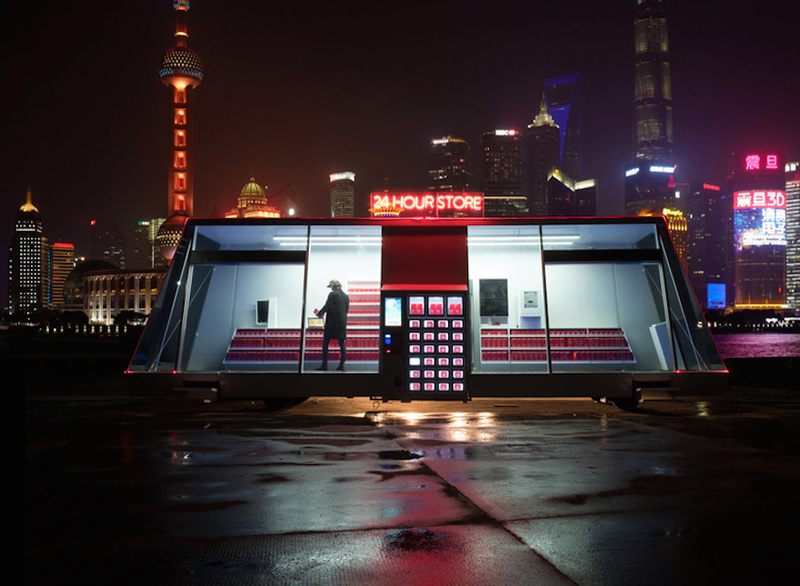 Although it may look like a spaceship, it’s actually the world’s first self-driving supermarket. Developed by Wheelys – famous for their bicycle powered coffee shop – the MobyMart is stocked with snacks, over-the-counter medicine and other assorted necessities. After beta testing for the past two months, the first Moby Mart recently went live in China. While, the current models are solar-powered and driven by remote control, fully driverless models are planned to hit streets next year. 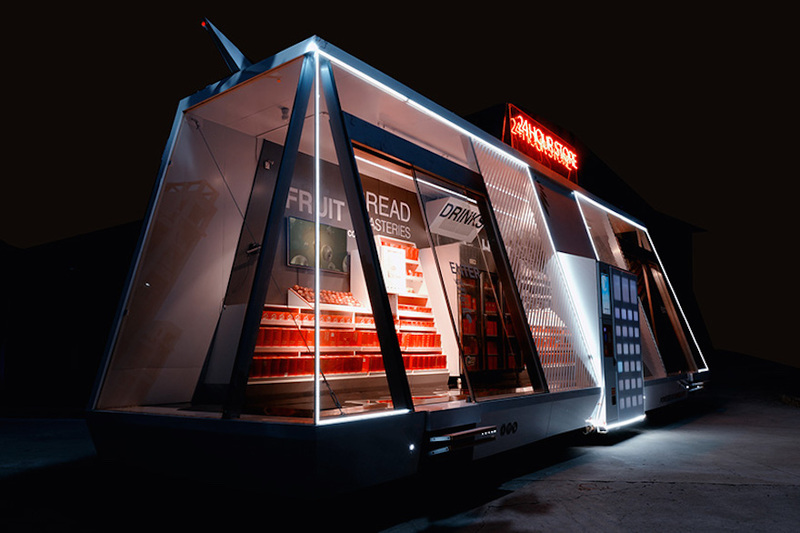 It features four drone pads for delivering items and artificial intelligence that re-routes the vehicles back to a warehouse when it is low on stock. 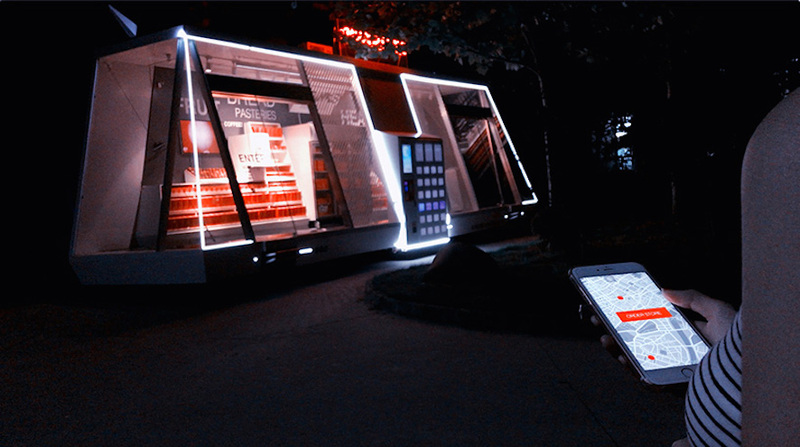 MobyMart is aiming to totally reinvent the shopping experience. To use the store, shoppers simply download an app that allows them to track the mobile stores location and summon it straight to their front door. 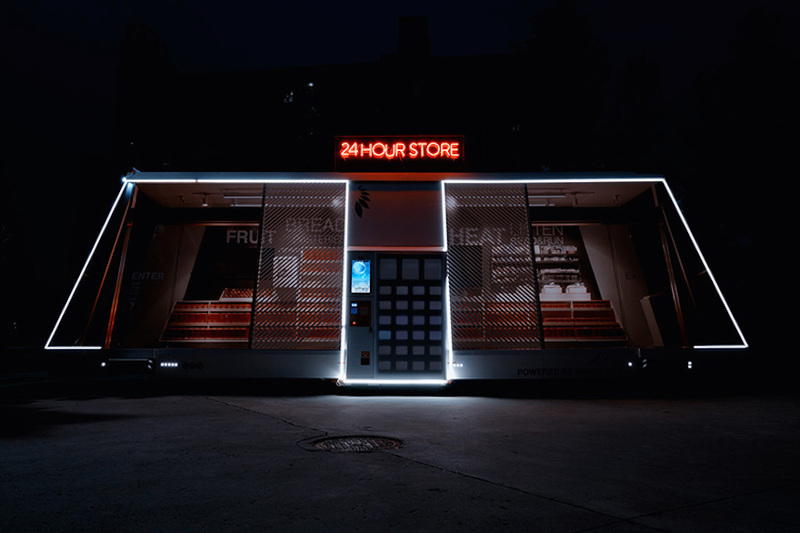 Accessible 24 hours a day, shoppers simply step on board and select their items. There’s no check out counter, instead, customers scan the items on their phones or make use of a self-scanning shopping basket, and their account is directly debited by the app. 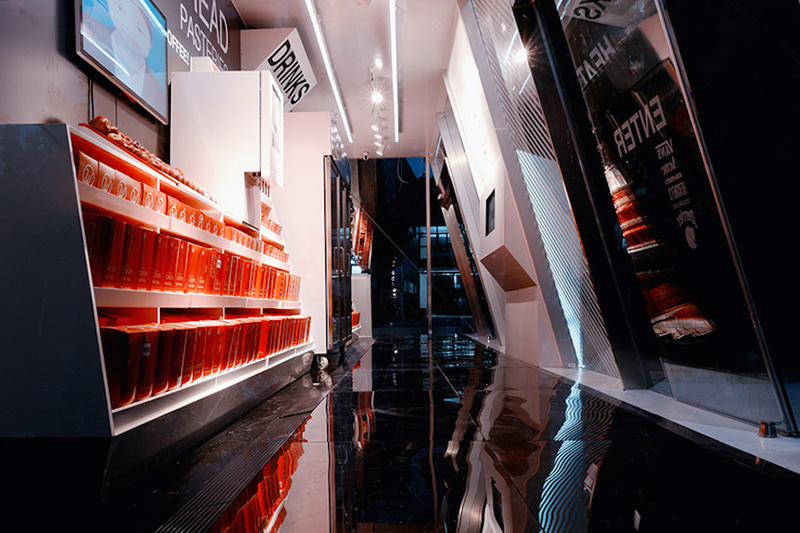 Developed in collaboration with Hefei University and retail company Himalafy, Moby Mart was undoubtedly built with the future in mind. While it may not have store clerks to interact with, it does have a holographic assistant if you’re feeling lonely. Named Hol, you can let him know if the store is missing an item that you need and he’ll make sure that the next time you come on board it’s available. Watch the video below to see the Moby Mart in action.